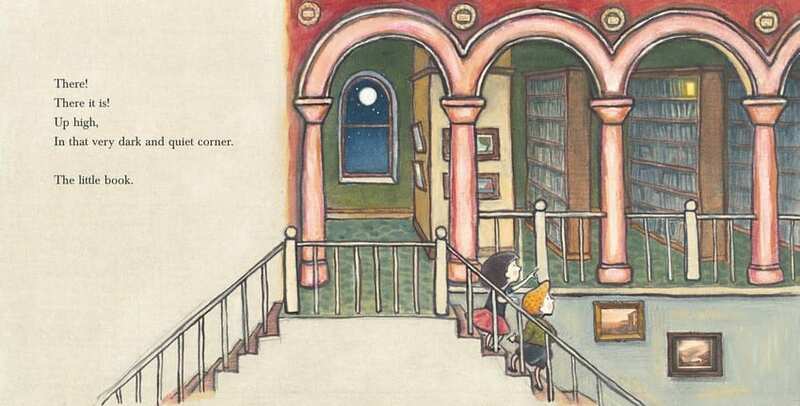 There is much to love about ‘Midnight at the Library’ the most obvious reason being that it is about the wonder of libraries and is by two of Australia’s most acclaimed book creators. The book was published to celebrate the 50th anniversary of the National Library of Australia and ‘the role of libraries everywhere as custodians of history, heritage and imagination’. Age Range: lower primary, middle primary and book lovers of all ages. Themes: libraries, books, book production, book printing, book preservation, printing press. 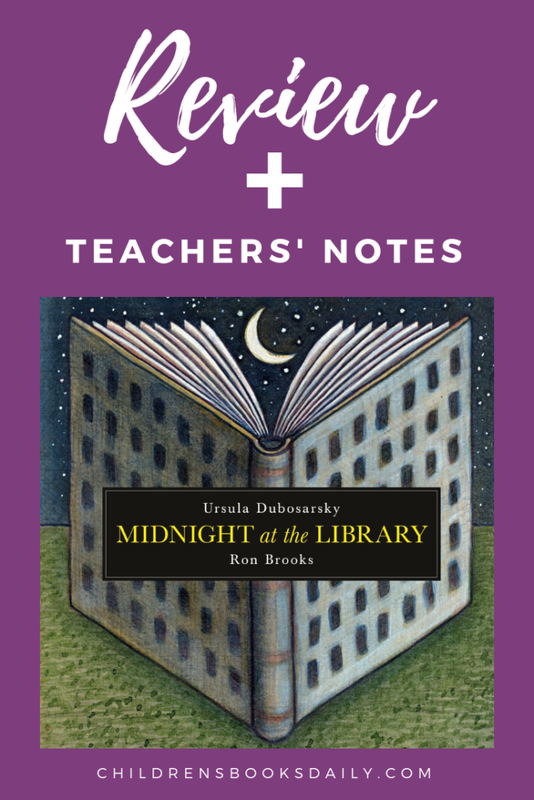 ‘Midnight at the Library’ is perfect bedtime reading material with just a hint of mystery and it is also a book to be savoured and studied and pondered. The fascinating history of ‘the book’ – from creation to preservation to it’s value as a shared societal resource through libraries makes this a story for classroom curriculum use (see teachers’ notes below) as well as recreational reading. 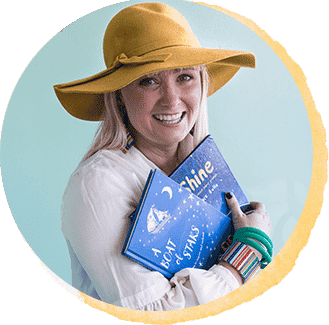 Carefully chosen words, paired with exquisite illustrations – Dubosarsky and Brooks have created a book (about books) which will be treasured always. What libraries have you visited? What would you find and what would you see at a library? 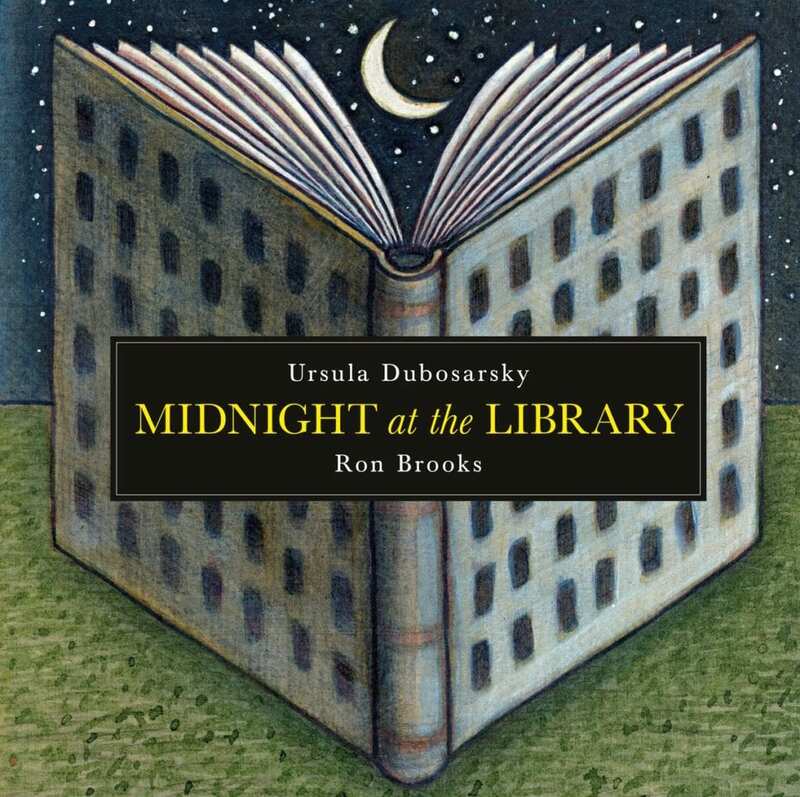 What do you think midnight in a library would be like? Scary? Fun? What would you do in a library at midnight? What is the illustration of on the front cover? Does it have two meanings? 2. To discover more about the author, Ursula Dubosarsky, and the illustrator, Ron Brooks, turn to the back of the book. 3. Look at the end papers! Do you think you could count all the books? Can you see anything else in the picture – look closely! Take note of the illustrations and the different artistic styles that Ron Brooks uses: surrealism, modernism, impressionism, realism, collage and photography. What would an old book look like? Have you ever seen a very old book? Do you have a book or have you seen a book in another language? What was the story about? Discuss how folk tales and legends are told and passed down from generation to generation. Do you know a folktale or legend? Who told it to you? Think of a story that is your favourite (this could be from a book or a story told to you). Now draw a picture about it. You could draw your favourite part of the story. Tell your classmates about why you chose to draw this picture and what is in the picture. Students decide how to display their art work. 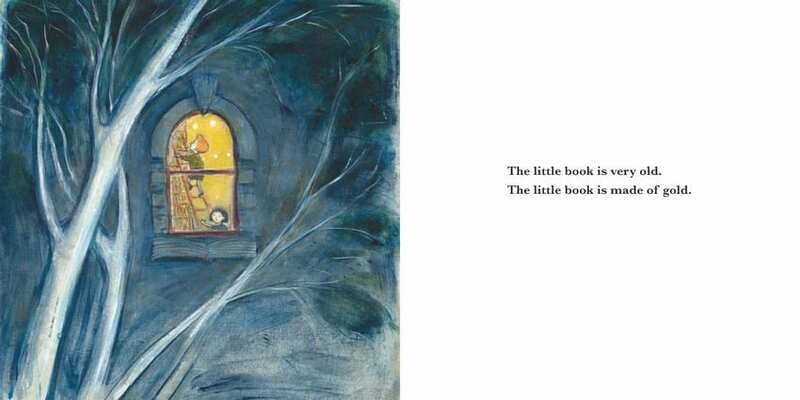 In the story ‘Midnight at the Library’ the little gold book disappeared and was found again and again. Were there clues in the book to help us to follow and find the little gold book? What were they? Relook at some of the pages. On the page where the book travelled by many forms of transport, take a look at the illustrations. Are the modes of transport modern? How do you know? So how long ago do you think it was? On the page where the book was nearly burned, what tells us on that page that was a long time ago? How long ago was it? We were like detectives trying to follow the little gold book. Activity: Time for you to be a detective! Think of someone in your family or a close friend who is older. Write your list of questions and interview that person. Write their responses/have them write their response on your list of questions. 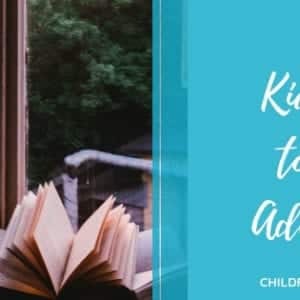 Ask if they have any objects from their childhood still and if you could bring them to school to display in the class and tell your classmates about it. Ask grandparents/ older generation family and friends to join you at school to bring in their objects and/or talk about their past to the class to stimulate questioning (practice ‘who’, ‘what’, ‘why’, ‘where’ and ‘when’ questions). Students could introduce their special family member or friend with one thing they learnt about them from their interview. To make it even more special turn it into a morning tea where all children bring in a shared plate of food!